Have you found your soulmate? What's on your lover's mind? Are you on the right path in your career? Call Charli Haynes and uncover the truth! Charli Haynes has been doing psychic angel card readings since 1985. Coming from a Croatian backround, her mother was a professional dream interpreter/psychic. You can say Charli was born into the world of the mystic. Charli's readings are clear, concise, down to earth, yet nurturing & inspiring. She focuses on career, love and your soul purpose in life. Charli's also an animal communicator & past life reader. Charli looks forward to reading for you & helping you down your unique, individulized path. Charli has taught meditation & psychic development courses at The Learning Tree in Los Angeles, California. She has experience in person to person & phone readings as well as readings for events/private parties. Charli has appeared on "Hollywood Live" as a psychic & done in person readings on the show. She has many years of experience as a phone psychic as well as email/chat readings. Charli spent quite a few years on the Dionne Warwick's psychic line during the 1990's as well. 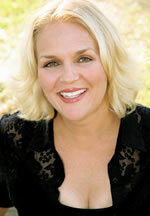 She taught psychic/intuitive development at the "Wishing Well" in Murietta, California. Charli Haynes is unavailable ... but you can arrange a call back!